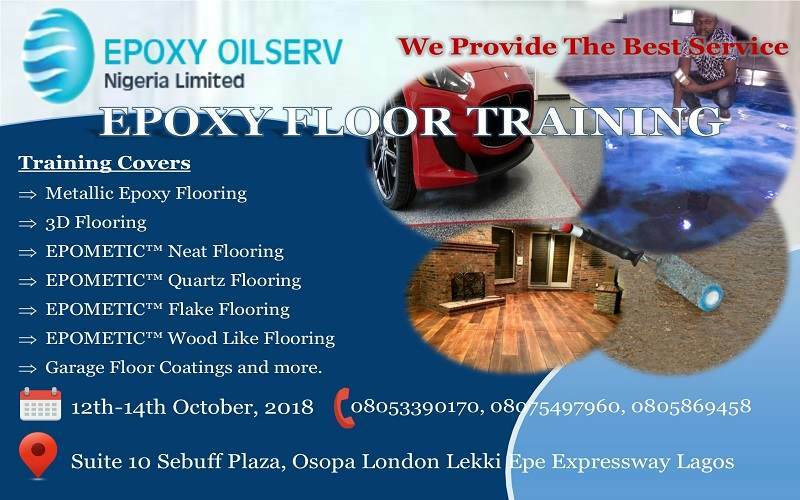 Epoxy Oilserv Limited now have a monthly 3D Epoxy Floor Training in Port Harcourt now, We are glad to announce this. this is in response to the demand by lovers of decorative and industrial floors who will love to be part of this wonderful revolution, there is no end to the beauty this concept can achieve. Participants will learn a lot. – EPOMETIC™ Wood Like Flooring. – Slate Trowel Down Flooring. – The safety aspect of application of chemicals to avoid any accidents. Date: Call for our scheduled date or our 2018 training Calendar.